Zippo Fusion US Flag Lighter | BUDK.com - Knives & Swords At The Lowest Prices! Zippo always continues to be innovative in its design process and Fusion is certainly no exception. This process has been used to create a stunning American Flag design, accompanied by the Zippo logo. 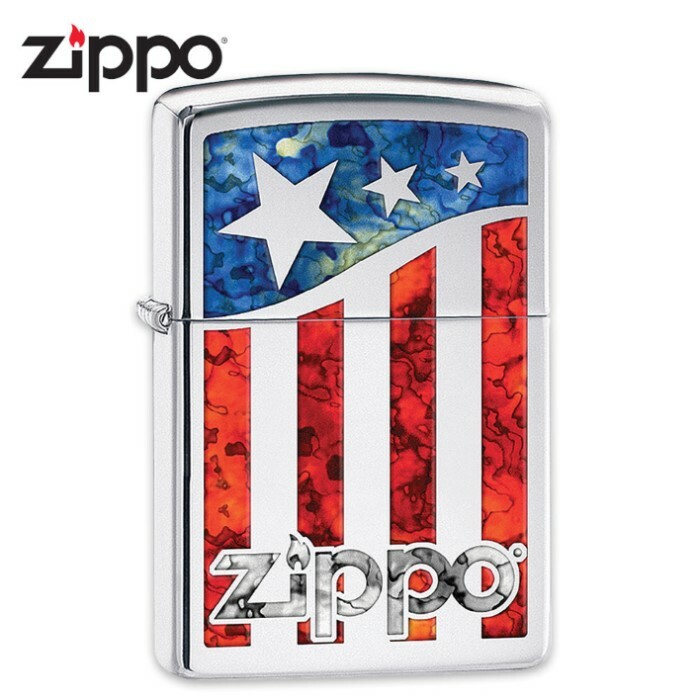 It also has the Zippo lifetime guarantee and is made in the USA. You just can’t beat a Zippo when it comes to a great, high-performing and long-lasting lighter because they truly have set the bar.